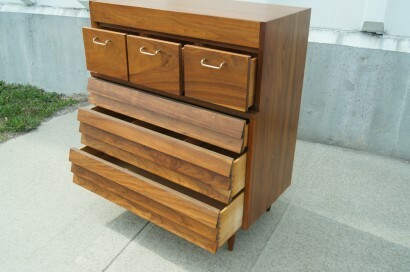 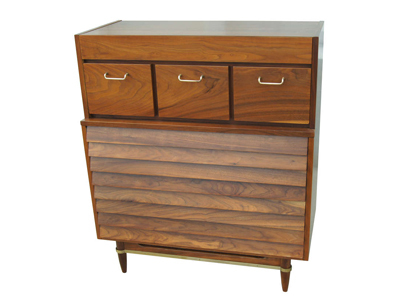 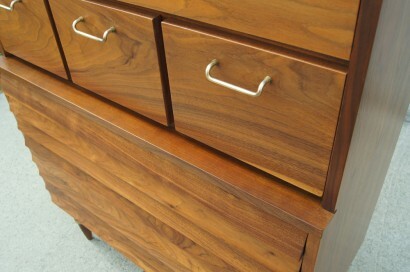 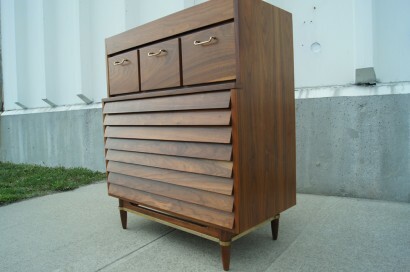 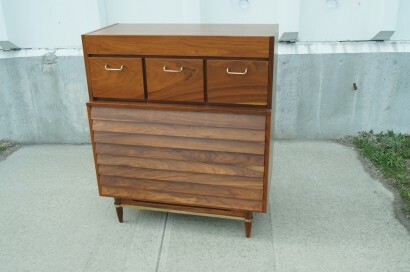 This dresser was designed by Merton Gershun for Martinsville’s Dania Collection. 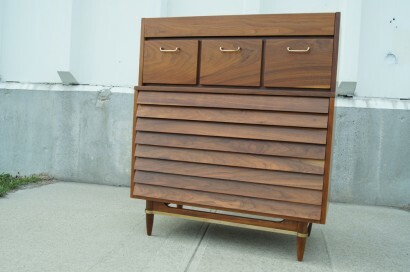 It is constructed of walnut and features brass accents and drawer pulls. 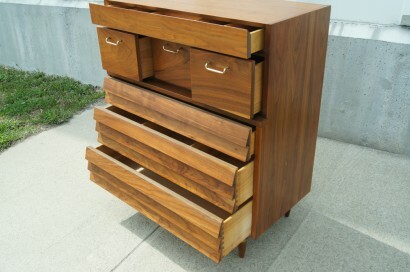 It features three drawers with a louvered front, three deep drawers, and one shallow drawer with numerous dividers. 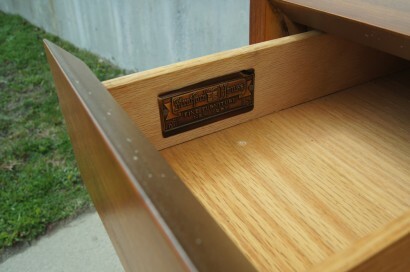 Corresponding small dresser also available.